Long scarf in a summery modal and cotton blend. 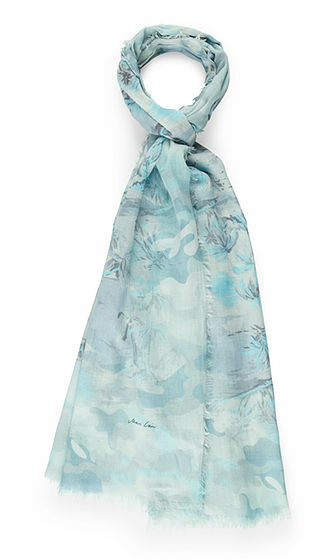 The scarf is printed with palm trees and decorated with a bleached-out camouflage print on the edges. Short fringes along the sides complete the look.